Despite their huge heritage, the New Wines of Greece can promote themselves solely by virtue of their present attributes and not past glories. In the last three decades, a wind of change has been blowing through Greek wine production, turning a relatively traditional agricultural sector into a cutting-edge entity in today’s wine world. 63 Greek wine producers from terroirs all over Greece will be in Dusseldorf. Learn more about the Greek participants here. 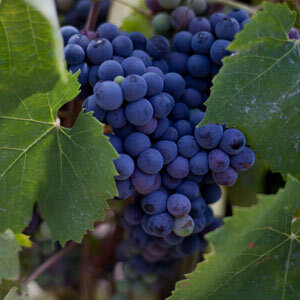 There are practically hundreds of Greek grape varieties. All are vinifiable, whether they go towards vinification of monovarietals or are used as part of wine blends. Some of them are extensively cultivated and are safely established. Some others are not. Still others are on the brink of extinction while some other Greek grape varieties have been rescued after concerted efforts by certain vine growers. Whatever the case may be, they contribute their character and diversity to the wines they yield, showcasing them as one-of-a-kind. Greece needs little introduction as a top quality and popular holiday destination. A fact less known is the immense range of wine tourism experiences available around the country. Greece has much to reveal to both the dedicated wine connoisseur and the occasional wine consumer who wants to incorporate wine-related experiences into a general lifestyle. Either way, Greece can truly convert visitors into real wine ambassadors.